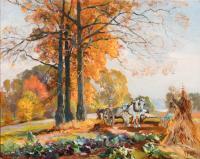 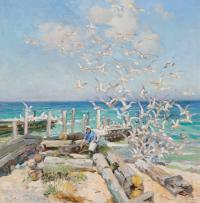 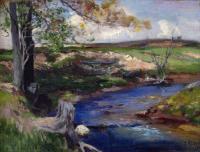 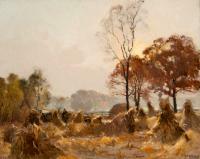 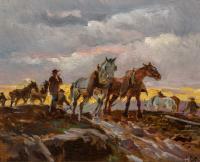 Alten began his career working within traditional French Barbizon and American Tonalist styles. 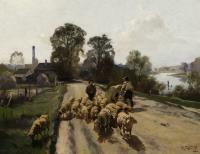 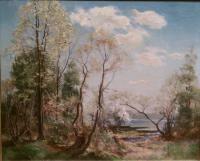 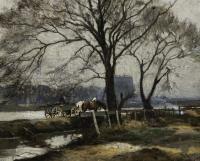 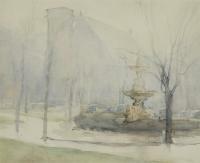 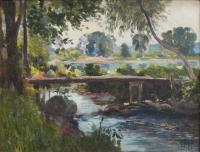 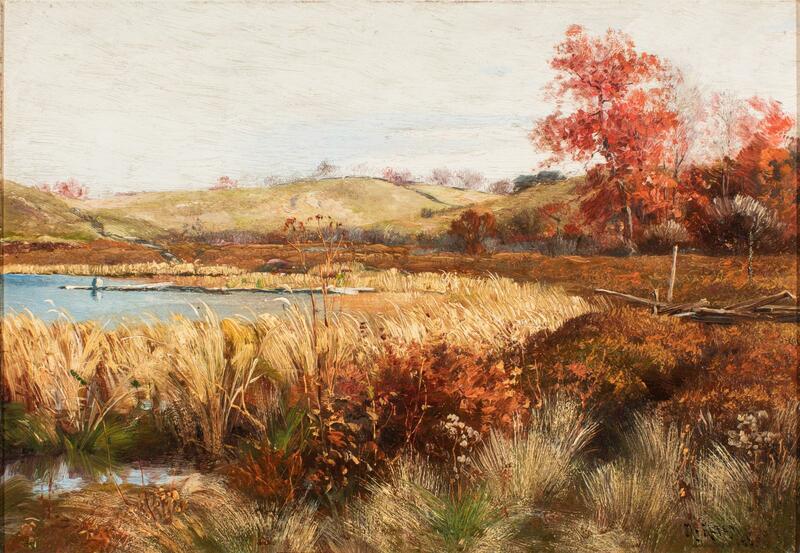 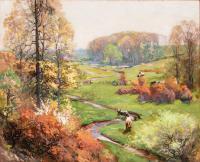 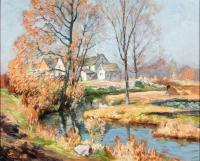 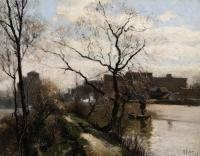 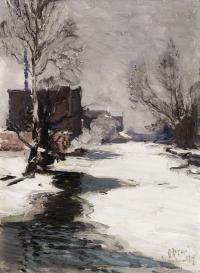 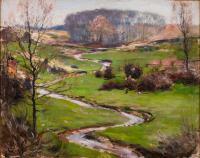 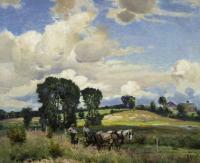 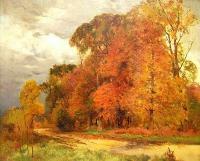 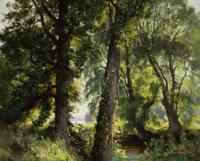 His landscapes, like this view of North Park Grand Rapids, Michigan, appear more naturalistic and somber when compared to work of other American artists of the period. 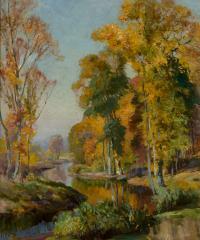 Brown/tan landscape with small body of water near the center, pale sky.